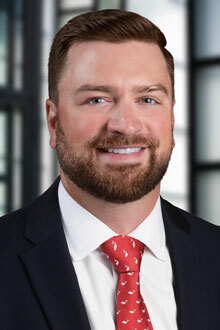 Taylor K. McKnight is an associate in the Tampa office of Lewis Brisbois and a member of the General Liability, First Party Property and Transportation Practices. Mr. McKnight has also handled medical malpractice and long-term care matters. Mr. McKnight has experience in the various stages of civil litigation, including pre-suit, discovery, motion practice and depositions. Mr. McKnight began his legal career as an Assistant Public Defender in Tampa, Florida. Mr. McKnight is active in his community and is a volunteer and Wish Granter with the Make-A-Wish Foundation (Central and Northern Florida). Mr. McKnight is also a committee member with the Tampa Chapter of Ducks Unlimited.